Don't miss out on this experience of a lifetime! 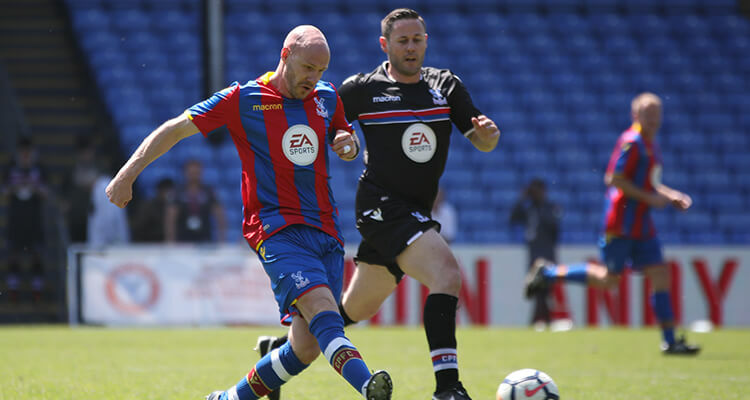 Bid for the chance to play alongside Palace legends at Selhurst Park. 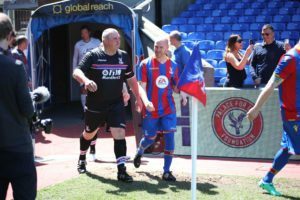 Palace fans and legends play side-by-side at our annual Play with Legends match! Fans can bid to play 45 minutes in their chosen position and will have the chance to experience what it is like to be a player on game day, use the Palace home dressing room, hear the coach’s pre-game briefing and walk out onto the hallowed turf of Selhurst Park. Don't miss out on this once in a lifetime experience!